Mark your calendars, because on Saturday, June 15, I’m going to be reading at a brand new reading series based at the bar/café The Only, located on the Danforth. 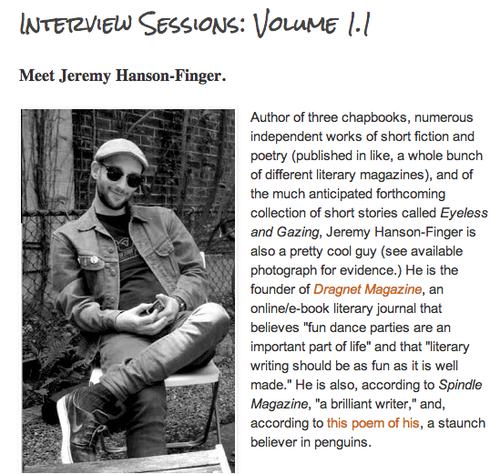 The event starts at 7 p.m. Until then, check out an interview the founders Kris and Katie did with me on the Ruckus website, and surf around and learn about what sounds like it’s going to be a phenomenal addition to the Toronto literary scene. I’ll post more details on my reading when available. UPDATE: Here is the Facebook event. This is what people are going to be thinking as they walk past the bar, except that they probably know how to spell “ruckus” in their minds.